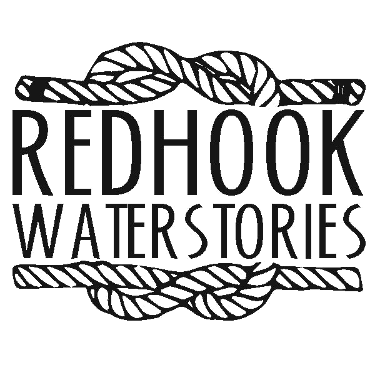 Native-American Lenape people were living in Red Hook long before the first Dutch colonialists arrived. Records of the Dutch West India company mention a village called Merechkatvikingh in the area of Red Hook. What scant information that exists suggests that Merechkatvikingh was fortified by a wooden stockade and that the residents had cleared land to farm corn (fertilized with fish). On May 27, 1640 Governor Kieft, the Dutch administrator for their colony of New Netherland granted his predecessor Frederick Lubbersen a patent to the lands "near Merechkawikingh about Werpos, reaching in breadth from the kil and valley that comes from the Gowanus... to the Red Hook under the express condition, that the savages shall voluntarily give up the maize land in the aforesaid piece" (in Tooker). Neither the Dutch Government nor the Native Americans sanctioned this deal but it appears to mark the begining of European settlement in Red Hook. Cruelly treated and crowded out, the natives of Merechkatvikingh relocated across the water to Staten Island. 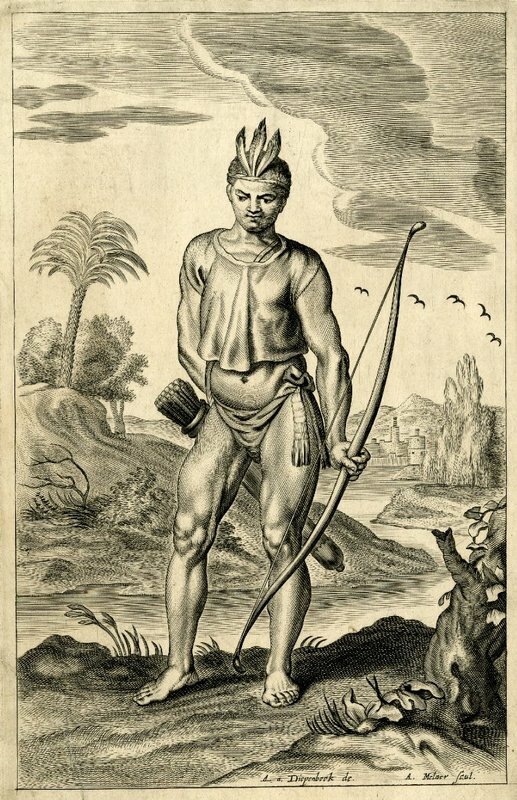 Etching by Abraham van Diepenbeeck, print by Adriaen Millaert. In the collection of the British Museum, Number F,3.206.